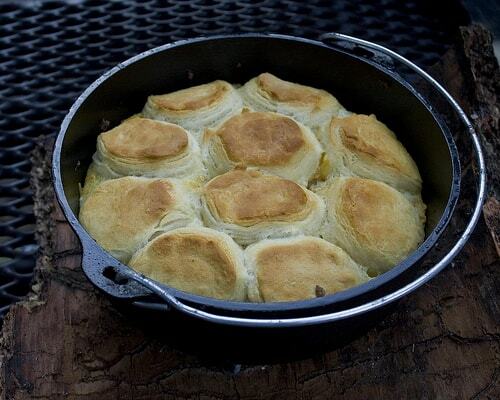 One of the basic needs for any survival situation is a means of cooking food. The most abundant fuel available is wood. 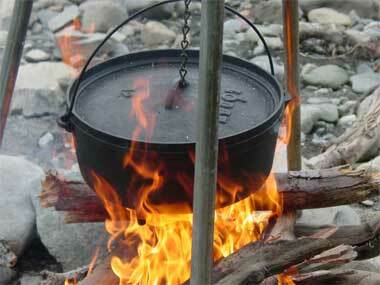 There are many ways to use wood to cook food…the most common being a camp fire or the “rocket stove”. However, these methods are not the most fuel efficient, and a lot of heat is lost during cooking, resulting in excessive fuel consumption. A more fuel efficient method is to build a wood fuel oven. A wood fuel oven can be made out of a variety of materials…metal, brick, or cinder blocks are ideal, as long as you can make the oven air tight. Much like a car engine, the performance of your oven will vary based upon how well you regulate the above three components. Smoke should be channeled away from your fire rapidly to prevent the fire from choking on its own exhaust. Restricting the flow of smoke out of the oven should never be used to regulate the fire. Excessive smoke in your oven will make food taste bitter. However, allowing smoke to escape too quickly will also allow heat to escape quicker, reducing the ability of your oven to retain heat and conserve fuel. Most traditional non-electric cooking and heating appliances work by regulating the flow of fuel. However, unless working with a pellet stove, it is rather difficult to regulate the “flow” of wood. That leaves us with the only remaining aspect of fire, oxygen. This can be controlled by creating a damper which will restrict the flow of oxygen into the oven. As mentioned previously, the oven can be built out of many different materials. Suggested materials include: Food grade 55 gallon drum, old charcoal kettle grill, brick and mortar, cinder blocks and mortar, or even a cardboard box lined with aluminum foil. When all doors/dampers/etc are closed, the oven needs to be air tight, so that you can extinguish the fire when you are finished cooking without having to pour water over the fire. A standard oven or grill thermometer. One of the “dial” thermometers which have a metal probe and do not contain mercury. The fire box/grate should be elevated so that ash from the burning wood can fall below the fire and prevent smothering the burning wood and preventing the flow of oxygen. The food rack should also be elevated, and can be placed either above or next to the fire box. A grill rack out of a propane grill works great for this. The damper should be adjustable, but can be rather simplistic, such as a sliding piece of metal. 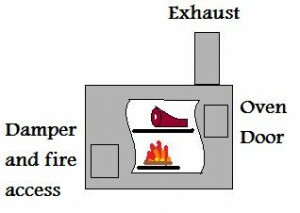 For optimal air flow the damper should allow oxygen to flow into the oven from beneath the fire, or on the opposite side of the oven from the exhaust and food rack. The important thing is that the damper is adjustable, and makes the oven air tight when closed. If need be, the damper can also double as an access door to the fire box. The exhaust door/lid, much like the damper, can be simplistic, such as a sliding piece of metal. Once again, the important thing is that the exhaust door/lid is adjustable, and makes the oven air tight when closed. The oven door should be large enough and located in a position to pull your food in and out with ease. When closed, the door should make the oven air tight. It’s important not to forget all the hardware you’ll need to assemble your makeshift oven. This includes screws, nuts, bolts, nails, etc. When assembling your oven, the location of all components is critical. Your oven should encourage proper air flow by locating the air damper and exhaust door/lid on opposite sides of the oven, as pictured. Your damper should always be as low as possible, and the exhaust should be at the highest part of the oven. Remember, smoke (and heat) rises. Try to design the oven so that while the entire oven is filled with heat, the smoke is quickly channeled around and away from the food. Your fire should always be offset from your food. This will not only prevent the food from becoming bitter with too much smoke flavor, it will also help prevent the food from burning. Your thermometer should be level with your food, so that you can monitor the cooking temperature. Finally, and I can’t reinforce this enough, make sure that when all doors/lids/vents/etc are closed, the oven is as air tight as possible. The makeshift wood oven is very similar to the operation of a conventional oven…warm up the oven, put the food in, wait, pull the food out of the oven when done, and turn off the oven. First, stack your wood inside the oven on the wood grate. Generally, stacking the wood in a crisscross square is best for long burns. Use a small starter log stick for easiest starting of the fire. Starting off, you’ll want your air damper and exhaust wide open for maximum air flow when lighting the fire and warming up the oven. If you find it takes a long time to warm up, you may want to try closing your exhaust partially to help retain heat. Monitor your thermometer. When the temperature is where you want it, close your air damper most of the way, only allowing a small amount of air into the oven. Also partially close your exhaust to help retain heat. While it takes a large amount of oxygen to get your oven warmed up, it won’t take very much at all to maintain your temperature. Keeping your oven running will require constant supervision until you get the hang of it. Every makeshift oven is different, and will require a lot of trial and error. Put in your food, and keep an eye on the temperature. If the temperature starts falling, open the air damper more, allowing additional oxygen to reach the fire, and close your exhaust slightly. If the temperature keeps rising, close your air damper more. Keep an eye on the edges of your oven door…if you see smoke starting to come out, open your exhaust more. The idea is, keep the smoke flowing out of the oven, but keep as much of the heat in as possible. Just like a regular oven, keep the oven door closed as much as possible, to keep the heat in. A general rule I’ve found is that exhaust should be double the size of the air damper. It helps to have a temperature probe handy, so you can check the internal temperature of your food. Making sure your food has reached the minimum internal temperature is critical, otherwise your food may make you ill. When you are finished with your oven, turn if “off” by closing all doors/vents/lids/etc. Normally I will leave the oven in the closed state until I’m ready to use it again. When cleaning your oven, be sure not to use any harmful chemicals. Generally, water and soap should be sufficient to clean your oven. You may notice over time a black soot buildup inside your oven. This is okay, as the soot will help to “season” the oven, and actually make your food taste better. If you know you won’t be using your oven for a long time, it is advisable to completely wash and dry the oven after it has cooled, then store it in an airtight plastic bag to prevent dust or mold. Always wash and dry the oven again after removing it from storage. I hope that you have found this useful. These oven plans have been adapted from the “Ugly Drum Smoker” and uses a similar cooking technique. 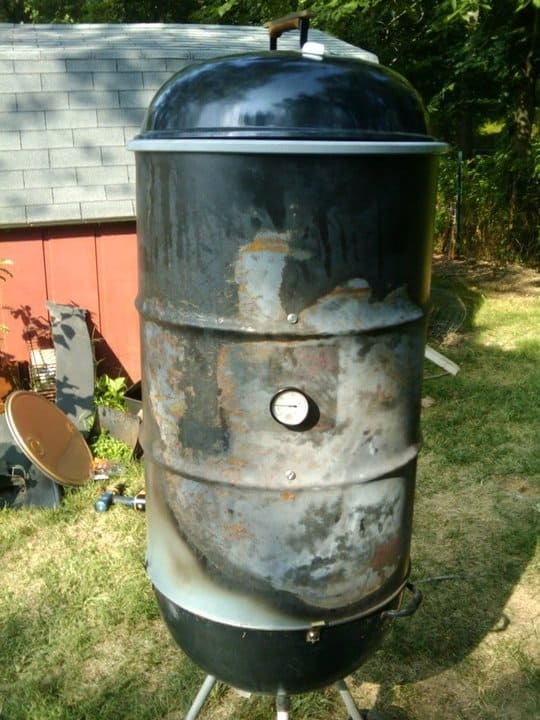 My custom built smoker uses this design, and can be used as a charcoal smoker or a wood oven. My father was born in 1901. His attitude towards building and describing things was “Perfect is just BARELY good enough” He was a master machinist in the days before computer’s were only a dreamy thought to even the most advanced scientists. He built 6 telescopes that I know off, and a propeller driven iceboat that was clocked at over 100 mph on the Cedar River above St. Ansgar, Mitchell County, Iowa in 1931. He was a crotchety, gruff, and extraordinarily mechanically gifted man. Unfortunately, he was also possessed of an explosive temper and wasn’t particular about he told people he thought they were wrong and that he was right, regardless of their position in a company. From janitors to presidents he was indiscriminate in his choice of language and totally lacking in diplomacy. People skills he didn’t have. But I am here to say to you that this is one the best documented, clearly explained, and most visually well presented discussions I have found on these any survival site, and one the old boy would say “Well, finally – here’s one done right.” Keep up the outstanding work.